Successful conferences and events don’t just happen. All elements are carefully crafted to come together to produce the final effect, from large international conferences to small focused meetings. The following crucial elements combine to make your event the best it can be. Eventage provides full conference management services. We offer a fully flexible personalised service from concept to delivery. We will ensure the Conference runs to the highest professional standard within the assigned budget. The success of your conference or event is dependent on having an audience. Our specialism in health gives us detailed insight into target audiences and we’ll work with you to successfully market your conference to ensure you reach your target audience. Choosing the right venue is fundamental to your success. The venue should closely reflect your aims and objectives within the budget available. 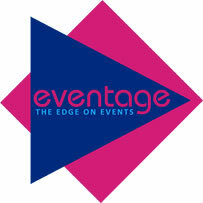 Eventage has worked in many of the UK’s leading venues and will identify those venues that will work best for you. We take care of all logistics including AV equipment hire. Eventage offer a wealth of experience and up-to-date knowledge in the health sector which allows us to offer advice in developing conference programmes when required. Eventage liaise with all speakers and organise travel and accommodation ensuring speakers are well looked after. Eventage offers an online abstract submission & review process that conference delegates now expect. This enables ease as well as accuracy of abstract submission, straightforward distribution for abstract reviewers as well as publication of the abstracts using web-based technology. We also offer a poster printing service for successful abstracts, making the process as simple as possible for authors. Raising Sponsorship is an integral part of many Conferences allowing organisations to raise their profile whilst keeping delegate fees manageable. Eventage have an extensive range of contacts operating within the Health Sector and will work with you on all aspects of sponsorship from design of the Sponsorship Prospectus to successfully achieving your income target. Eventage has considerable experience in staging bespoke Health related Exhibitions with both Private and Public Sector organisations often with over 75 Exhibitors. The Exhibition must be dynamic and integral to the conference or event, thereby enhancing the delegates overall experience. We will work with you to achieve this. Eventage will produce a branded website for your conference which encompasses registration, abstract submission and all other event information making the delegate journey as smooth as possible. Networking is frequently cited as one of a delegate’s prime reasons for attending a conference or event and is an important factor in its overall success. We will work with you to ensure that the social programme complements and is as successful as the academic programme.